"Fantastic Platform for any Business"
I really enjoy that everything you need to start and run your business within one platform. Whether you need to build out a site, set up shipping or provide discounts to customers, it's all there inside this software. There is so much that you can do on this platform that it can get kind of confusing. I had to do my fair share of googling and watching YouTube videos to make sure I was doing things properly. Super helpful for vending events. You can type in the customers info or you can enter it as a quick transaction. Even entering manual card numbers doesn't take that long if for whatever reason your card reader is being testy. Can also allocate inventory to separate locations so the inventory you pull from your online shop you can make sure it doesn't cross sale. Sometimes card reader has a hard time connecting. Both times I've used POS for events, I've not used the card reader as it's pretty testy. I do wish the app was a part of the original app though - i often delete and re-download the app for space on my phone. Train your staff prior to events. Try to get expected customers to create an account ahead of time for ease of purchases. Makes vending at events so much easier! We only offer online sales, so in person can be a bit time consuming to type in an order through regular Shopify or plus. Way easier to pay for goods and services. "Easy to use, all in one place! " I really like Shopify POS for a lot of reasons. I find that it is very easy to use and is super user friendly! The I use this for consumer shows and it really helps the POS process to run smoothly. The first time I used it, it took me maybe two times and I was able to work my way around the app no problem! It is easy to make updates when necessary on the spot. It is very quick, and once you make changes, they are updated automatically. There really isn't anything that I dislike about this. The only thing I would say is that sometimes at trade shows the wifi is spotty, it would be cool if there was some way to use this app even when not connected to wifi. I like this app a lot and would definitely recommend it! Sometimes it also bugs out and does weird changes that I didn't make. But It could just be that I am just learning it. I would recommend getting the blue tooth card reader to go along with Shopify POS! It makes it super easy and quick to use. We use Shopify POS for running payment and selling product at consumer shows for my line of work. We like this because we travel for these shows and it is easy to add in the tax per the state that we are doing a show in. It makes the process very easy. I like that it's easy to search for inventory quickly, and is all-in-all a pretty powerful app. It takes FOREVER to register that a card reader is attached to my phone - which can make for a very uncomfortable waiting period when I'm trying to ring up a customer at things like a craft fair. Sometimes it can be a little laggy, but it's still worth it overall. ESPECIALLY if you already have a Shopify-based website - it's kind of a no brainer. Registering that you're using a card reader can sometimes be kind of a pain in the neck, though - we just ordered the new chip reader, so we'll see if that makes a difference. We're able to take our business into the "real world" instead of just keeping it online, while keeping track of inventory and sales! And we're able to accept credit cards, which is huge. "Easy app to charge cards on"
I can charge credit cards in the app on my phone which allows me to process all money (both call in orders and website orders) on the same program which makes accounting easier. Frequent updates to keep the app working, doesn't seem to work as well on my iphoneX. Reducing the number of places that income comes from - makes accounting easier if you only have to reconcile transactions from Shopify instead of Shopify, PayPal and Square etc. "Should of used the full Shopify website and POS"
The main reason for using shopify was due to rave reviews from business colleagues but they use the full platform and we should of looked into the limitations of the POS only, we are now going to change to a full Shopify website. We were very time poor so opted for a quick solution to get some Christmas orders in. "How Shopify helped me start my E-comm business"
I love how easy shopify makes it to create your own stores. They have options to handle shipping, payouts, orders. apps that designe your stores and run them at the same time. It also handles your taxes for you ! 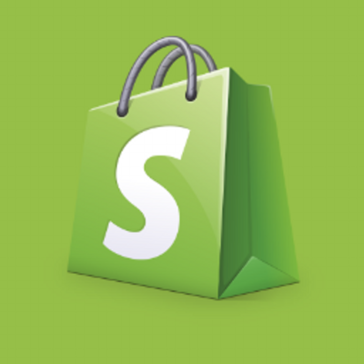 Using shopify on PC is easy but does tend to be confusing on your phone. It takes awhile to master the features. I can have multiple stores open and have a fliud income as I get to spend more time with friends and family. It really helps you take control of your own time and life. "Great Way to Take Orders in the Fly!" What I like best is that is does pull ALL my Products and makes that easy, and also that I can simply key in the CC info without the reader, as I forget to bring the reader many times. IT also does work nicely back and forth with the base Shopify App. It took me a little while to figure out and get used to their UI, which I think could be better. I think they could set it up as 1,2,3, ... and walk you through the process. It also took me awhile to figure out how to add a DISCOUNT to a current product vs. creating a Custom Sale. Give it try for sure, there fees are the same I think with the rest, so why would you not want to use this! This really has been great for me, as although there are other options out there like SQUARE that you could use, I love then fact that this allows me to keep it all in my SHOPIFY world, and does not then require another entity that I need to work about. I also like that it keeps all my sales for the customers grouped together, and I feel this makes me more efficient. I started using this when they came out with, and it has replaced SQUARE for me. This product is very flexible and scalable. We started using it back when we have less than 25 employees and one register. We now have over 200 employees and 7-8 registers and the software is still perfect for our needs. Also, training for this platform is extremely easy. Most new employees do not need much training at all since the system is so intuitive. There have been some lingering issues with Gift Card processing and sales reporting for Gift Cards. We have contacted support quite a bit about this and there does not seem to be a ready solution. If this issue is fixed, I see no reason that Shopify POS would not be considered one of the better POS platforms on the market. Another minor downside is that Shopify POS only operates on iPads. It would be nice to not be so limited on which hardware it can be run with. If Shopify's price tag fits within your operational budget, go for it! The benefits and ease of use are worth the price tag. I would consider what the additional transition costs may be though. You will need to purchase iPads to operate the software on. Depending on what you currently use, this additional expense may prove to be prohibitive. We use Shopify POs in our brick and mortar location to process sales to customers. On a busy day we process between 300 to 500 transactions, or up to $150k in sales. Software downtime is extremely limited and response time is very quick. We are able to move long lines quickly. I love that it's easy to swipe the credit cards and it's an easy process for the customers. I love that I rarely experience problems checking them out! It's an easy system to learn and I recommend this for any business with registers. Once the swipe goes through, sometimes the customer will change their mind on an item and instead of going back to change that, I have to find their order and refund them and then process another order. Once it gets to the signature, I wish there was a back button and so that I can quickly change that for them. They get confused as to why I have to refund or charge them again for a new order. It also can be difficult to find their order in the system. Especially if it was a return! I highly recommend this system for register use! I worked on the registers for 6 months before moving to customer service. We grew very fast as a company and we had many people come through while using only 2 registers. It got the job done quickly! We were able to satisfy the customers. "Great for small AND medium sized businesses"
It's a great solution to provide a seamless transition from an online store to a physical store. While the product isn't robust enough to serve every need we'll ever have, it makes opening a brick and mortar store possible when all you've done is online sales. It lacks robust functionality the bigger your store gets. The apps have periodic glitches and bugs that go unresolved and are not repeatable, but provide serious problems to our customers. The product is limited in its ability to interface with different types of hardware, and until POS apps were released, had extremely insufficient flexibility as an all-in-one POS system. Shopify POS is great for small businesses, but the larger you scale, you'll find that you have to come up with creative workaround solutions. Transitioning form an online store to a brick and mortar store. This product has allowed us to make the jump and to expand our service at our physical location. It is great to have one unified product database and to have online discount codes and gift cards that work over POS as well. "Easy to use and incredibly powerful. " It's interface is incredibly easy to understand, and if you still don't get it, their customer support is exceptional. 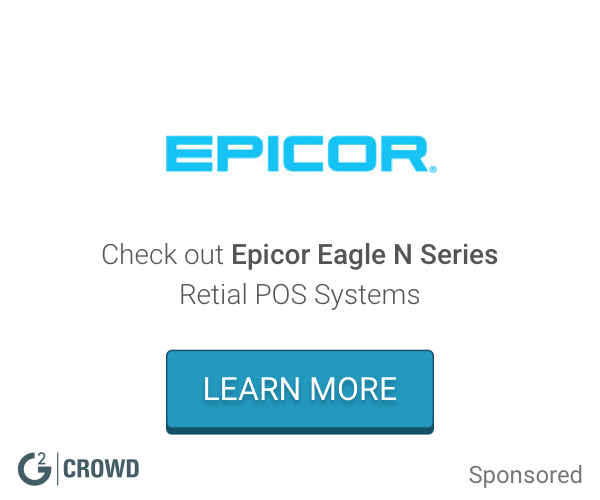 The hardware add ons make it easy to have a fully functional retail experience, from scanning, to searching manually, to printing customizable receipts. I wish there was a way to gather more customer information. I recently wanted to create an order for our online store as a pre-orders and it would've been easy if there was a seamless way to do that through the app. The customer had to manually enter her credit card number and place a web order in person as opposed to being able to swipe her card through the POS system. I'd go for it, especially if you have a shopify store already. Shopify POS makes it easy to sell in person. All of our products from online are able to be scanned and sold in person with little to know hassle. It gives a professional retail appearance without using a clunky system, which is perfect for smaller businesses. Staff members are also given their own pins which helps to track their sales and gives insights into sales. The integrations with Shopify's reports helps to optimize our inventory process by easily identify the best sellers at the store. The platform is very user friendly and allows for easy website edits that look great! The platform makes taking and processing orders very easy. The customer service has always been helpful and fast whenever I've needed them. I wish there were more options on the order dashboard side. Customers often want to change quantities, remove or add an item, etc. after the order is placed and there is no easy way to do that. The system is very user friendly and the iPhone app is so quick and easy to learn. It makes taking payment anywhere easy! We have a website along with a payment processor in one! "Pretty good, but still room to improve"
Shopify POS works well as an extension of your online Shopify store, but we use it strictly at events. It lacks some functionality that we'd like to see that we do have online, but again the price is right as a Shopify web platform user. The UI is very intuitive, new employees can figure out how to use it in a matter of minutes. Adds a professional element to our otherwise very basic event sales setup. Works well on iPad, but iPhone app is pretty horrendous. Product imagery is not nearly as good on the app anymore. If you are just complimenting your primary storefront, Shopify POS can do that well. As a primary shop interface, I'm not sure it is up to par with other solutions. Selling products remotely at events without having to carry a lot of inventory. Has definitely simplified and allowed us to scale our regional event sales business. "Great tool for our business "
We have an e-commerce store, but recently have been branching out to selling on the weekends at festivals and farmers markets and this tool has made selling in person a breeze! Nothing, it's great. We have had zero problems using this tool. If you are using Shopify, skip using something like Square. Shopify Pos is all you need. The ability to have a seamless POS system that tracks inventory is awesome! This has allowed us to easily accept cash and credit card transactions, when selling in person. Shopify sent us a free card reader, easy to process transactions, easy to enter shipping information for later shipments. Not much to dislike, great for expos, etc. Definitely reach out for a free card reader. "Easy to use, intuitive, younger POS solution that integrates great with eCommerce"
Great tier one support, app is light and responsive, intuitive, beautiful. Extremely easy to setup printers, scanners, cash drawer, etc., and good support for using that hardware. App integrates great with eCommerce platform, and it's great have eCommerce customers and orders all in the same place as our POS customers and orders. Enterprise level stuff accessible to anyone. More difficult issues (questions beyond 'how to do this') are not handled as well. Lighter volume stores have no issues with it, but store managers at extremely high traffic locations feel like it is buggy and that it crashes often. Some more enterprise features are missing at this point. Great if you are using their eCommerce product. If you are not, it's a good option that is quickly improving, but it feels younger than some of the competitors. Easy to deploy, low cost, eCommerce integrated POS solution. Nothing! App is great! Easy to use!!!!!! I can charge someone for a product anywhere! "A good way to sell products, if you don't like using Square"
I like that Sjopify finally extended its POS offerings to Android and does not force me to use a third party payment collection app. It took a very long time to arrive on Android operating systems, I was forced to use Square prior to this and am leaning towards sticking to Square because I already have a system established for it. "Shopify POS - an excellent business tool"
In a start-up clothing company I consulted for, we used Shopify to build our online store, track inventory, etc. and using Shopify POS while we were out at pop-up shops, farmers markets, etc. made doing business a breeze! Bring able to use a device to process payments, track sales, and check inventory all in one was an invaluable tool. The attachment to scan cards can be a little tricky when it comes disconnected. Shopify POS makes doing business outside of the office a breeze! "The greatest small biz outlet"
Shopify is a GREAT outlet for small businesses.. you can easily integrate your online inventory with your physical brick an mortar inventory - creating a smooth an easy process to do business. Not really many dislikes, even after tax season thinking it was the end all be all, Shopify easily brings up any and all information needed. Has fast credit cards transactions and receipt processing, effective end of day report. Very disorganized, too complicated for new user to learn on. i depended on my friend for assistance. A good product to work with. Has improved customer service quality in our supermarket. Reports are easy to pull, track sales by location, search products/ customers. "cash register on my phone"
In addition to using the POS app and card-reader for events, I use this tool to manage product inventory for sales occurring in other channels like eBay and Etsy that are not connected to my Shopify account. The POS solution is incredibly easy for taking payments on my phone. While it is incredibly easy to run orders from different channels through POS, I wish Shopify and POS would integrate so that inventory could be all managed in 1 platform and update listings accordingly. Great vehicle to conduct offline sales but keep inventory in on-line channels aligned. Selling products in person and removing inventory from other selling channels. "Easy POS for when you are on the go!" It's easy to use at any time of day or any space. I used it at pop up shops and conventions to ring customers up. It was all good to me. If there was an easier way to add one off or new products, that would be great. Familiarize yourself with the layout before using it so you can finish transactions easier. Checking people out on at different events. It's very mobile, as long as you have a iPhone or iPad you are good to go! "Easy user friendly system. Haven’t had any problems "
"Decent, but not as good as Square." Being able to use Shopify for my website and for my brick and mortar shop. That's a major advantage. That said, Square POS is so much better that I'm using both. I use Squarify,io to synchronize my inventory totals between Square and Shopify and get the best of both worlds. I really need a scanner for stock counts, that's a deal breaker for me. Connecting my e-commerce with my in-store experience. Shopify POS was easy to set up and convenient to use. Having the ability to have the app on my phone was extremely nice. Editing products isn't possible so we had to add in a random price/ cost and account for it later. With shoppers popping up anywhere we were able to complete their purchases wherever we were. The ability to sync inventory with online store sales and POS sales. The inability to edit product details within the app. I'm able to sell in person with little equipment. There is sometimes lag but updating the application regularly reduces this. "Easy to use, easy to install, easy to understand. " Almost no set-up required. Very easy to install, understand and use. There isn't much to improve upon. In fact, I hope they don't change much. Keep it very, very simple. Obviously, it only makes sense if you are already using Shopify. But given that, it really couldn't be easier. On the go point-of-sale for employee orders. What I would like to see is add the capability to process debit transactions, and scan barcodes in app. Selling in person, leading to increased sales. "Simple user to export data." As a new user I like the number of reports that are available. I need to export information from Shopify and import it into our database. As a new user I have not figured out my dislikes yet. We transitioned from another platform and so far Shopify has been much better. Shopify POS is simple to use, and its connectivity with other aspects of our Shopify store allow for easy inventory management and order processing. If anything, I wish the interface offered more of a "heads up" in a certain size or variant of inventory is running low. In person selling and order processing. We've been able to seamlessly operate pop-up shops without having to worry about a POS system integrating with the online solution we already use. "Simple to use, fast, reliable"
Ease of inventory input, search ability. How long it takes to get the money deposited. This solves the need to search for pricing. "Great for businesses of any size." Their merchant systems are great for tracking purchase statistics and order fulfilment. Fees can be a headache but that is a minor complaint. Definitely a strong contender for handling your invoices and sales tracking. Takes the hassle out of having to create your own system. Order fulfilment for merchandise store. I like the different apps and features ! No complaints at the momenr kn shopify. I am able to track where people are finidng our website to better determine where to spend more in advertising. "Shopify POS is the best POS on the market"
Easy to set up. Integrates with my Shopify store. Nothing major. It does everything I need very well. Shopify is great for retail establishments, not so much for hospitality. I help clients sell online and set up their storefronts primarily using Shopify. * We monitor all Shopify POS reviews to prevent fraudulent reviews and keep review quality high. We do not post reviews by company employees or direct competitors. Validated reviews require the user to submit a screenshot of the product containing their user ID, in order to verify a user is an actual user of the product.